Keeping Windows updated is one of the most critical ways to protect your system. Microsoft offers a built-in update system, called Windows Update, to make it easier for Windows users to download and install new updates. Windows Update manages all updates for your computer, including those for your operating system, security services, app drivers, and programs. However, installing system updates, which should have been a lot easier and smoother with Windows Update, doesn’t always end up successful. Various issues can hinder the update process and result in installation failure. One of the most common Windows Update problems around is error code 0x8007000d. What Is Error Code 0x8007000d? Error description: The data is invalid. Error(s) found: Code 0x8007000d Windows Update encountered an unknown error. This problem happens whenever you try to run Windows Update to install new drivers or system updates. When you see this error, anything you try to download or install via Windows Update will all fail in the end. Frustrating, isn’t it? 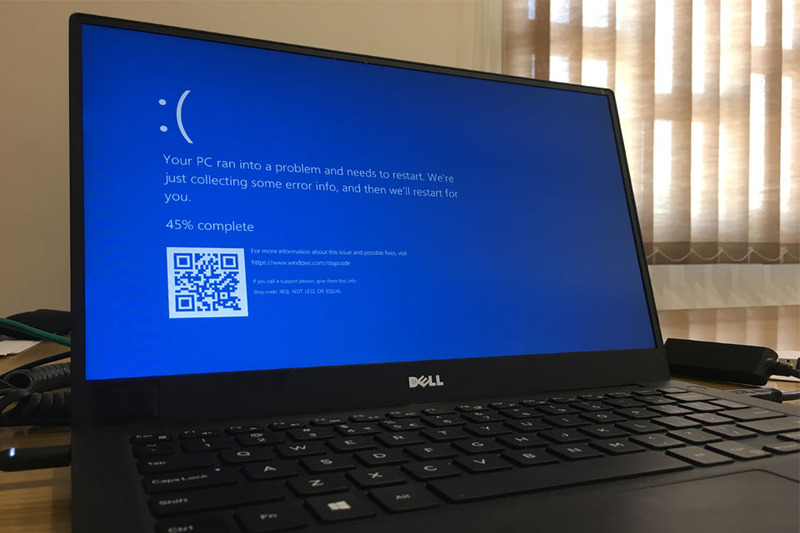 Getting this error means that Windows users are missing out on important security updates, new features, or other improvements that are crucial to the smooth running of the operating system. What causes error code 0x8007000d? This error is often associated with damaged or missing Windows Update files. Without these files, Windows Update cannot proceed with the installation. If you’re installing an update for an app, the error might occur due to compatibility issues. We’ve listed down several fixes below for you to resolve this error. You can try each one of them to see which one solves the problem. Before you start fixing error code 0x8007000d, make sure you do these basic troubleshooting steps first. Close all your programs and restart your computer. Make sure to back up your files in case the repair goes wrong. You can also use a PC repair tool to remove old updates and other unnecessary files that may be preventing new updates from downloading. If these fixes don’t work, you can try the methods below to solve error code 0x8007000d on Windows 10. If the first one doesn’t work, then go to the next method until you find one that does. Method #1: Run the Compatibility Troubleshooter. If you’re getting 0x8007000d error code when you’re trying to download or install a specific driver, using the Compatibility Troubleshooter might solve your problem. Press Windows + E to launch File Explorer. Go to the folder where the driver installer is located. Right-click on the installer file, then choose Troubleshoot Compatibility. Once the Program Compatibility Troubleshooter is launched, click on Troubleshoot Program. Select the issues you’re experiencing with the driver, then click Next. Select an older version of Windows under Run this program in compatibility mode for. We recommend you use Windows 7 since it is the most stable version of the OS so far. Click Next, then hit the Test the program button. Install the driver by following the on-screen instructions. If everything goes as it should, click Yes, save these settings for this program at the end to remember your settings. Method #2: Run Windows Update Troubleshooter. If the error occurred when running Windows Update, you can use the troubleshooter to scan for issues and try to fix it. If you have the Windows Update Troubleshooter installed on your computer, just press Windows + Q to launch it. If nothing pops up, download the app here and install it according to instructions. Click Start > Control Panel > System and Security. Click on the Update Troubleshooter link. Choose Fix problems with Windows Update. Click on the Advanced tab, then select Run as administrator. Make sure that Apply repairs automatically is also ticked off. Once launched, the troubleshooter will automatically scan for any errors with Windows Update. Wait for the process to complete, then try downloading your updates again to see if the error still exists. Method #3: Run System File Checker. One of the possible causes of error code 0x8007000d is corrupted Windows Update files. If this is the case, running System File Checker can help resolve this issue. SFC is a built-in tool designed to fix potential problems caused by corrupt Windows files. Press Windows + X keys, then choose Command Prompt (Admin). Wait for the process to finish, then reboot your computer to see if the error has been fixed. Press Windows + X, then select Command Prompt (Admin) to launch the terminal. Wait for the scan to be completed, then check Windows Update if the error has been resolved. Method #5: Reset Windows Update Components via Command Prompt. Refreshing the system can fix various errors, and the same is true for Windows Update. However, resetting Windows Update requires executing several command lines, so make sure to follow the instructions closely. You can copy-paste the commands to avoid mistakes in the execution. Follow the steps in Method #3 to launch Command Prompt with admin privileges. Navigate to the System32 folder by typing in: cd /d %windir%\system32. Hit Enter to access the folder. This is where you’ll re-register the BITS and Windows Update files. Next, type in the following commands to reset your BITS and Windows Update components. Copy each line one by one, then hit Enter to execute each command. After resetting these components, you should also reset Winsock by typing in the following command followed by Enter: netsh winsock reset. Reset Proxy by typing in: netsh winhttp reset proxy. Don’t forget to restart your computer for the changes to apply. Windows is a versatile operating system, but issues such as error code 0x8007000d put your system at risk since you are unable to download critical updates for your computer. Fortunately, there are several ways you can go about to resolve these issues. Any of the methods above should do the work to fix the error and improve how your Windows Update works.